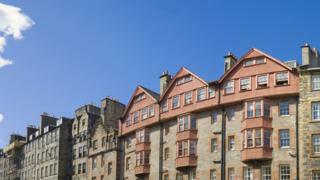 Residents in Edinburgh could face a 3% rise in council tax bills. The tax rise is one of a range of measures being considered by the council as it looks to make savings of almost £21m in next year's budget. The authority is also proposing to cut funding to Edinburgh Leisure by £420,000, increase the cost of parking permits and charge for collecting garden waste. The proposals will go to a council vote next year. If approved, they will form part of the City of Edinburgh Council's budget for 2018-19.